Since 1991, Personal Best Karate has been honoring & growing potential of our members with self-defense, confidence & goal-setting skills. When I opened my school in 1991, I made a commitment to serving and empowering the community of Norton, Easton, Norwood, Foxborough, Medfield, & Raynham by teaching children and adults the confidence, leadership and fitness skills that can only be achieved through martial arts. Our programs have a strong focus on personal development. The foundations of our morals, values and core character traits are formed in our early years. For this reason, the programs at Personal Best Karate are an essential way to enhance the growth and personal development of young students of all ages. The Personal Best Instructors share a highly functional blended martial arts program that teaches the students the correct awareness and physical skills needed to keep safe. STUDENTS & PARENTS LOVE PERSONAL BEST KARATE! Personal Best Karate After School program has been a godsend! It is a safe and fun place for my son to do his homework, attend his karate classes and play with friends. Thank you, Personal Best Karate! Personal Best’s after school program is ‘awesome’ according to my nine-year-old son and I agree 100 percent! I can trust the Personal Best team to be engaged with my child to provide a second home and supportive community experience. The small group setting allows for bonding and lasting relationships of the children who enter the program. Honestly, every time I pick up my son I see glowing smiles and laughter on all of the children’s faces! I am so thankful for the team providing a safe, happy, supportive environment that encourages continued learning via homework assistance, as well as providing karate classes during the after school program. The afterschool program at Personal Best Karate was a game-changer for our family. My son was in the 5th grade and looking for a new experience after school. Both my husband and I work full-time and needed him to be in a safe and supportive environment. He had never done karate but he was interested in giving it a try. The culture at PBK is consistently delightful as the staff is friendly, invested and supportive. My son has thrived in this environment and is very motivated to continue his training. I would recommend this program to any parents seeking an active, supportive place for their child after school. My son struggled to enjoy any of the after school programs we had tried. Then he started PBK's after school program. He looks forward to his time there and has made some great friends. He gets all his homework done, his karate class in, and fun with the other kids. PBK after school program was also less expensive than the other programs we've tried. It has made our life less stressful and more fun! Personal Best has been my home since I was little, and aside from having the best family I could ever ask for, I am convinced that PBK has given me the foundation to overcome any obstacle placed in my path. As a kid I already understood the concept of goal setting, learned about commitment, and knew the value of respect, all because of Personal Best's philosophies and practices. Thank you Personal Best for inspiring me from Day 1, because at the age of 22 I live my life to the fullest, knowing my potential. When other people ask how I acquired such confidence and eloquence, I tell them Personal Best Karate!!! My kids love the instructors, they are great with my 5 and 6 yr olds. Thank you so much. I'm continuously blown away when I see the confidence and character on display that Personal Best has instilled in my child. Grateful to be part of the PBK community and thankful for such amazing people as Master(s) Rappold and staff. First class organization. Highly Recommend. We just had an absolute great experience at Personal Best Karate. My son celebrated his fifth birthday. We had fifteen guests ranging from 3 to 9 years old and they all had a great time. The instructors were excellent, kept the kids engaged, took care of EVERYTHING (pizza, dishes, forks,...). I was very impressed with the party and would definitely recommend to others for a birthday party. My son started in Easton when he was 4, now he is 10, on his way to earning his black belt, and our whole family enjoys the many benefits of training with the wonderful instructors at Personal Best. Can't say enough about them. Fantastic. Truly the BEST place in New England for the full martial arts experience: body, mind, soul. Character development that is not only taught in every class, children to adult, but is also demonstrated by each and every instructor. The martial arts experience cannot be compared to any around. You are always learning something new and training what you already know to solidify and reinforce the skills. First class program in every aspect. Personal Best karate has been such a positive force in my son's life. The discipline, self control, self-worth character building is equal to the physical, well being, and karate lessons. I love Personal Best in Easton.....thank you for everything you have done for Aidan! I can't say enough about Personal Best Karate. You meet the nicest people and instructors that can guide you to black belt excellence! Master Dana and Master Eileen Rappold at the Easton PBK have influenced my life and have taught me many core values. Master Christopher Rappold has also played a huge role in my life. He has taught me to never give up and keep striving for my Personal Best!! Thank you Personal Best Karate for instilling the values in me of what a true black belt means. The instructors in Foxboro are incredible. We are so happy both of our kids now go there. The way they work with everyone is beyond what we expected. I would highly recommend anyone signing up with them!!! I started kickboxing a year and a half ago and I can honestly say it has changed my life. Kickboxing has given me the motivation I needed to lose the weight I wanted in order to feel better about myself and to get back to where I used to be. Not only have I lost a lot of weight, but I have gained muscle tone and confidence in myself. Kickboxing has been a great energy source and stress reliever. I know when I take a class it will end with me feeling absolutely great. The instructor is phenomenal! He has a great way of getting you to excel and achieve your goals. He has an enthusiastic teaching style that helps to motivate you to push forward and feel the “burn”. The people are wonderful. We are all able to get together, have fun, and help to push each other to the limit. If you want to achieve all of your fitness goals, Kickboxing is the way to go! I’d been through a lot in 2011 and 2012, dealing with a breast cancer diagnosis, surgery, chemotherapy, and radiation. I have always struggled with my weight and maintaining consistent exercise and healthy eating habits, but this time was different. Dealing with constant anxiety, nausea, and fatigue, coupled with all sorts of medications that don’t exactly do the weight-challenged any favors, I gained about 40 pounds during chemotherapy. Lucky for me, I have a great primary care doctor, who asked me at the end of 2012 if I was ready to make my health a priority by finding a form of exercise I liked and would be able to do consistently. After a week of agonizing over what sort of exercise I should take up, making up a slew of ridiculous excuses about why I couldn’t or shouldn’t take a kickboxing class, convincing myself that I wasn’t ready, that I didn’t have the money and I didn’t have the time, I quit making excuses, walked into Personal Best Karate and signed myself up. I look back at that first kickboxing class, and can’t believe I am the same person. I remember being discouraged because I couldn’t finish 20 seconds of V-ups, but that didn’t last long. By the time class was over, I was delighted that I finished the entire workout, encouraged by the best mentors and a class full of new friends with shared goals. I joined the 90 day fitness challenge in early 2013, which allowed me to take advantage of the karate classes in addition to kickboxing. Who knew I’d want to take it up a notch? 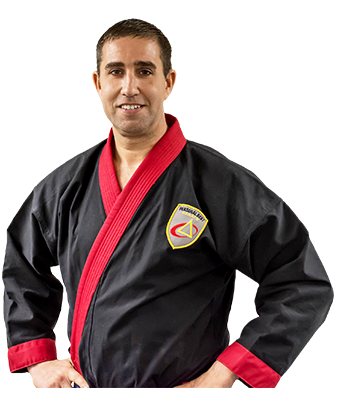 Since starting at PBK, I have gotten stronger, more confident, learned new ways to manage stress, and cleaned up my diet, all while learning tae kwon do forms, self-defense techniques, and sparring skills from the most patient, positive, and encouraging instructors. Master Mansour, Miss Stacy, and all the other PBK instructors really take the time to make sure every student in class understands how to perform the techniques safely and correctly. They answer any questions you have – and sometimes they even need to remind me which foot is my right and which is my left. And get this – I weigh less now than I did before my cancer diagnosis. It’s been so much more challenging and fun than forcing myself on the elliptical three times a week. A few of the newcomers have told me that they’ve been trying to keep up with me during the kickboxing classes. Keep up? With ME?! What a rush that is, considering I couldn’t do 20 seconds of V-ups a year ago! I just hope that I can be as encouraging and inspirational to PBK newcomers who may be making up their own excuses about why they can’t or shouldn’t make their health a priority. It’ll be the best thing you can do for your body and your mind with the greatest bunch of people! Joining Personal Best Karate has been one of the best things I have done with my two daughters. Until my 15-year old daughter (who is now in Black Belt training) joined Personal Best about 3½ years ago and I joined with my 13-year old daughter over two years ago, I never imagined I’d be actively participating in a sport with them. Personal Best is very much a family friendly school that provides a nurturing environment to learn skills far beyond karate forms, while also providing a great environment for exercise and bonding with my daughters. It is an environment where age, gender, position in life, and belt rank do not matter. We are all in it together to learn, grow, exercise, have fun, gain confidence, develop some great skills, and progress toward the coveted Black Belt together! I started karate in third grade. It’s been 10 years since then, and I have been an assistant instructor here for the past four at the Personal Best Karate in Foxboro. This training, under such an amazing staff, has transformed my life completely. My confidence, my leadership capabilities, my self-control, my entire character has been shaped by what I have learned here. Personal Best has become my second home, a place that never stops challenging me and improving me. I wonder who I would have become without Personal Best, but I’m sure I could have never achieved what I have, whether it be on the mat or in everyday life. Personal Best Karate has helped me establish high goals. My martial arts training has accelerated my athletic performance and endurance while increasing my academic focus and discipline in school. The principles taught by PBK have driven me to challenge myself and extend beyond my comfort zone. My Black Belt experience will help me excel at whatever path I choose in life. I am a single mom of one boy. He is 14 now, he was 10 when he started at PBK in Easton. As a 10 year old he had some anger issues. I was getting regular calls from school. I was at my wits end with what to do to control his outbursts. It so happened I got a random post card in the mail, Free Uniform, two private lessons, and two weeks of classes for a special. I called PBK the very next day to make an appointment. We met with Miss Malone, who was AWESOME with Evan. She went through Spot Runs, rest position, right guard, left guard and the almighty Kee-Yi's . I'm not sure who was more excited for Evan to sign up, me or him! Watching the transformation over the four years has been amazing! All of the staff is phenomenal with the kids. I'm not sure where we would be without PBK. I am so thankful for that post card and for the wonderful staff at Personal Best that I now consider family. Geo LOVES karate. He LOVES it. I had to fight such a battle to get him there to just try it - I KNEW he would resonate with it and it would be so good for him. We had a really great talk just last week about how hard it was for him to try and how nasty he was to get there, but about how proud we were of him working through his anxiety to do it. He found something he absolutely loves because he was able to get himself to try. He's been more responsible around the house and randomly will come out with little comments about how great his kicks were, or how hard he worked to have great form while doing his push-ups. Thank you so much for being SO fantastically supportive of him and for making his two intro classes so fun for him. He really enjoyed that time with you and I can't say enough what a wonderful program you are all running, and what a perfect fit it is for Geo. My husband and I have been amazed at the values you are teaching our daughter more than the karate moves. The words you have been teaching her -courtesy, courage, leadership, concentration- are not words you hear a lot today, yet they are values that I had been trying to instill in Kimmie and now you are emphasizing them. I think she is also learning that though she is small she has a voice and she is learning to use it. We all have obligations as parents to raise our children to the best of our abilities and Personal Best Karate has helped us on that journey. We teach our children to do what is right in everything they do and to treat people with respect. Personal Best Karate reinforces the lessons they learn at home and school. Together, we are raising a fine young man. My son Ben was having trouble in school with reading and his focus and behavior were not the greatest. After a year at PBK, he went into third grade with a much better attitude and tries as hard as he can. My two youngest decided Ben wasn’t going to have all the fun and they joined PBK as well. My daughter is very shy and doesn’t interact well with people she doesn’t know. She has shined in this program and is starting to come out of her shell. My youngest is five and is not shy at all, he comes into karate fully focused, and has his best “Black Belt face” on. He wants to be just like his older siblings. As a mom there isn’t any place I would rather have ` helping me nurture, educate and mentor my children in becoming awesome people. PBK will always be a part of our lives.